Paralysis is the loss of muscle function. It results from an interruption in the way the brain sends and receives messages to the body. Paralysis of the lower half of the body, affecting the legs, is called paraplegia, and paralysis of the legs and arms is called tetraplegia or quadriplegia. Paralysis of one side of the body, which sometimes occurs after a stroke, is called hemiplegia. A 2016 study, looking at data from 2013, estimated nearly 5.4 million Americans were living with some form of paralysis. Researchers identified strokes and spinal cord injuries as the two main causes, accounting for a total of 61% of the cases of paralysis in the U.S. In some cases, medical or surgical complications can cause spinal cord injuries that result in paralysis. Have you or a loved one suffered paralysis as a result of a stroke misdiagnosis? Contact us today. Researchers have found strokes to be the leading cause of paralysis in the U.S., accounting for almost 34% of all cases. Paralysis from stroke may affect only one side of the body (hemiplegia) or may be localized in the face, an arm, or a leg. If you suffered paralysis as a result of a stroke that was misdiagnosed, delaying proper treatment, you may benefit from talking to an attorney. Weitz & Luxenberg’s Personal Injury and Malpractice Group can help you determine if you should seek compensation for your injuries. The 2016 study mentioned earlier found spinal cord injuries were responsible for more than 27% of paralysis cases in the U.S. — second only to strokes. 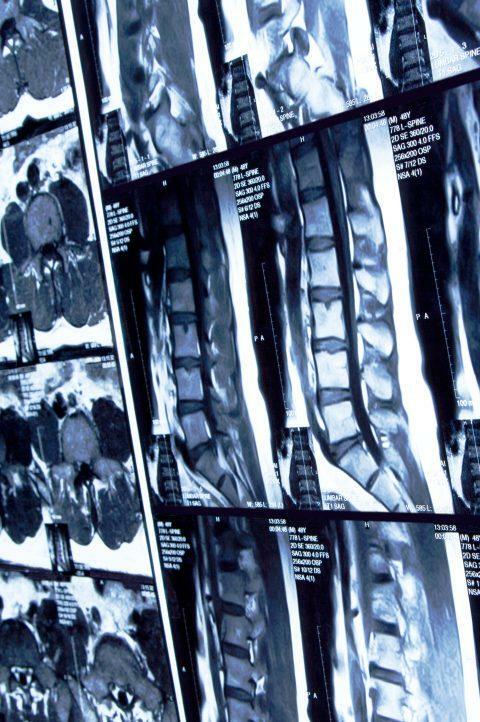 Spinal cord injuries can also be caused by industrial accidents. All of these are incidents where negligence or other wrongdoing toward the victim may have been involved. If you have suffered a spinal cord injury as a result of someone’s negligence, you may be entitled to compensation. Weitz & Luxenberg provides a free consultation to help you determine your legal options. The spinal cord is a bundle of nerves that runs down the neck and back, through the spine, carrying signals between the body and brain. Spinal cord injuries are most often the result of vertebrae being fractured or dislocated by some physically traumatic event causing damage to the nerves. The spinal cord does not have to be severed to cause paralysis. A loss of muscle function can occur from bruising, crushing, or stretching the spinal cord. The terms “complete” or “incomplete” are used to describe the level of injury in a spinal cord injury. An incomplete spinal cord injury occurs when the spinal cord is partially injured and some sensation and movement are still possible below the injury. A complete spinal cord injury occurs when the cord is severed. In a complete spinal cord injury, the cord can no longer carry signals below the point where it is damaged. This leaves a person paralyzed below that point. The eight segments in the neck connect the brain with the arms and sometimes the diaphragm. 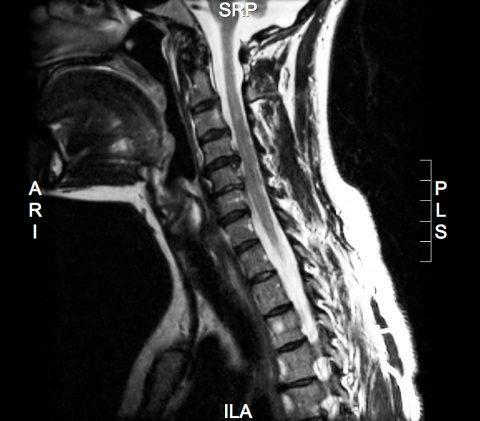 A spinal cord injury here can result in quadriplegia and can include paralysis of breathing muscles. The 12 segments in the upper back control signals to and from the upper torso and parts of the arm. Injuries at chest level can cause paralysis of the legs and lower body. The five segments in the mid-back control signals to the hips and legs. The five segments below the lumbar region control signals to parts of the legs, the toes, and the groin. A spinal cord injury in either the lumbar or sacral regions can affect one or both legs and muscles that control the bladder and bowels. Generally, the closer the injury is to the brain, the higher its level of severity. In addition to losing motor control of muscles below the injury point, organs below that point may no longer function as they did before the injury. If the spinal cord injury occurs in the neck, symptoms may affect arms, legs, and, if it is high up in the neck, the muscles necessary for breathing. If the spinal cord injury happens at chest level, the victim may experience blood pressure problems, abnormal sweating, or trouble maintaining normal body temperature. If a person has experienced any of the symptoms mentioned above after one of these injuries, he or she may have suffered a spinal cord injury. Emergency responders should be called if at all possible. They can immobilize the patient to prevent further damage to the spinal cord and take the person to an emergency room or trauma center. The time between the injury and treatment can affect the outcome. Quick response can lessen the long-term effects of a spinal cord injury. The National Spinal Cord Injury Statistical Center estimates the average initial hospital stay for a spinal cord injury is 11 days. Rehabilitation stays average 36 days. If a patient fails to recover movement or feeling in the affected area after six months, loss of function is more likely to be permanent. The National Spinal Cord Injury Statistical Center estimates 30% of people with a spinal cord injury will be rehospitalized one or more times during any given year following the injury, with each stay averaging 22 days. How Can Medical Procedures Result in Paralysis? Though rare, paralysis can sometimes result from medical or surgical procedures. The National Spinal Cord Injury Statistical Center estimates these causes accounted for 5% of all spinal cord injuries from 2010 through 2014. Medical or surgical complications are the fourth leading cause of spinal cord injuries among women. Medical complications leading to spinal cord injuries can include traumatic injuries sustained during surgery near the spine, direct damage to the spinal cord from inserting an anesthetic needle, or from such things as lesions that result from a lack of oxygen to the spinal cord while the patient was under anesthesia. What Are the Costs of Paralysis from a Spinal Cord Injury? The National Spinal Cord Injury Statistical Center has found quadriplegia (complete or incomplete) accounted for 65% of new paralysis cases resulting from spinal cord injuries between 2010 and 2014. The center also estimates staggering lifetime health and living expenses for people with quadriplegia. First-year costs alone can range from nearly $770,000 to more than $1 million. Each subsequent year can cost between $113,000 to nearly $185,000. For a 25-year-old, that can add up to as much as $4.7 million over a lifetime. (All amounts from the center are estimated in 2014 dollars). Another 35% of spinal cord injuries resulted in paraplegia (complete or incomplete) between 2010 and 2014. The center estimates first-year health and living expenses for paraplegia at more than $500,000 with subsequent annual costs of close to $69,000 and lifetime expenses of $2.3 million for a person 25 years old when injured. If your injuries are the result of someone else’s negligence, you may be entitled to compensation. Weitz & Luxenberg’s attorneys can help you determine your legal options. A jury in Rochester, New York, awarded millions to the mother of a brain-damaged child. She sued Rochester General Hospital for causing irreparable damage to her baby during delivery. In November 2016, a New York court awarded $23 million to a music producer paralyzed from the neck down by a hit-and-run driver. After the accident happened, the car’s owner reported it had been stolen. The injured man turned to Weitz & Luxenberg, whose personal injury team found evidence and witnesses that proved to jurors the car had not been stolen and that the owner’s son had been behind the wheel during the crash. The verdict awarded the injured man $20.5 million for past and future pain and suffering and another nearly $3 million for medical expenses.